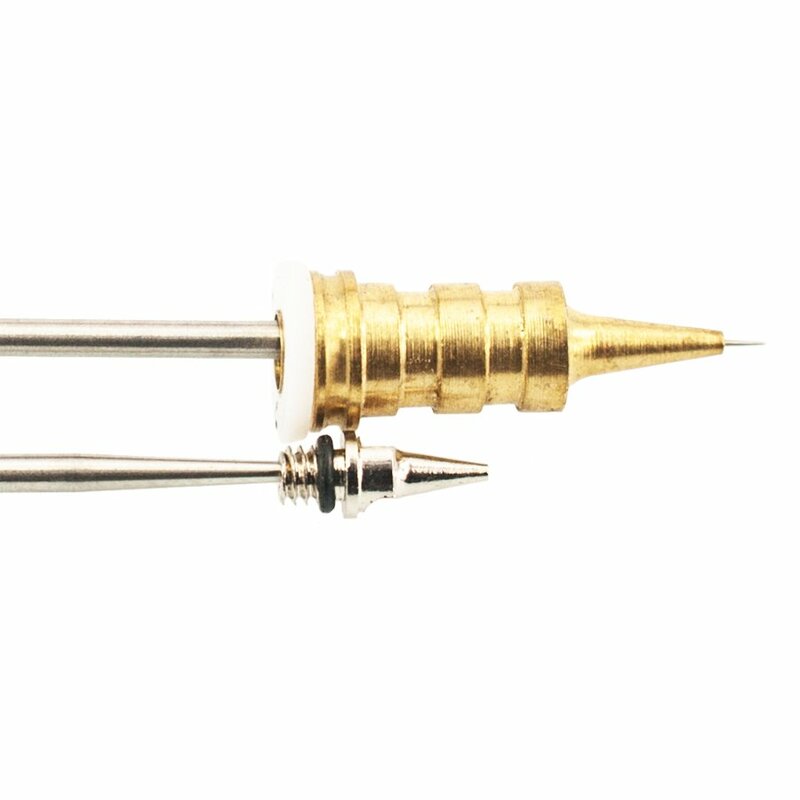 The supplied needle can be used in almost any airbrush and is of the standard design. The supplied nozzle is of our new LARGER design and can only be used with airbrushes which do not require the nozzle to be screwed into the body of the airbrush - it is held in place by our new LARGER design nozzle caps. The below image shows the new LARGER design compared to the standard design nozzle. This nozzle can be used in BARTSHARP Airbrush® 116B, 183 & 186 models and other airbrushes of a similar design.